I'll post a welcome message to start off the discussion on Wednesday morning; please hold off on posting until then so that people have a chance to join. Thanks - and have a Happy New Year! P.S. thanks to Keld [Simonsen] for setting up the list. Why do C++11-deleted functions participate in overload resolution? Why does C++11 make "deleted" functions participate in overload resolution? Why is this useful? Or in other words, why are they hidden instead of being deleted entirely? Alex Korban over at C++ Rocks! recently posted a nice visual mindmap of what's new and different in C++11. It's suitable for posterization: If you want a C++11 poster for your office wall, this is a good one. constexpr is a new C++11 keyword that rids you of the need to create macros and hardcoded literals. It also guarantees, under certain conditions, that objects undergo static initialization. Danny Kalev shows how to embed constexpr in C++ applications to define constant expressions that might not be so constant otherwise. A common question for programmers new to C++11 and its new features: "Hey, look how easy this was! ... But, um, why and how did it work?" unique_ptr<T> does not allow copy construction, instead it supports move semantics. Yet, I can return a unique_ptr<T> from a function and assign the returned value to a variable. The code above compiles and works as intended. So how is it that line 1 doesn't invoke the copy constructor and result in compiler errors? If I had to use line 2 instead it'd make sense (using line 2 works as well, but we're not required to do so). I know C++0x allows this exception to unique_ptr since the return value is a temporary object that will be destroyed as soon as the function exits, thus guaranteeing the uniqueness of the returned pointer. I'm curious about how this is implemented, is it special cased in the compiler or is there some other clause in the language specification that this exploits? 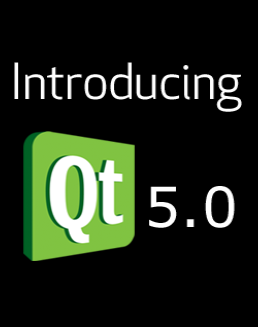 Qt 5 is now available. This is the first major release under Digia, who recently acquired Qt from Nokia. Key additions include support for C++11 and HTML5 along with an integrated WebKit2 browser engine. Both commercial and open source versions are available. Qt is the most widely-known and -used portable UI framework for C++, used by nearly half a millon developers worldwide. It offers native code performance and modern sophisticated user experiences across desktop, embedded, and mobile platforms. Amazing graphic capabilities and performance, especially manifested in constrained environments like embedded and mobile devices. Qt Quick 2 offers a GL-based scene graph, a particle system and a collection of shader effects. Qt Multimedia and Qt Graphical Effects bring these features even further. Cross-platform portability is now simpler for OS developers thanks to the new structure of Essentials and Add-ons modules, plus the consolidation of Qt Platform Abstraction. We look forward to seeing Qt running in all kinds of environments! Next up is full Qt support on iOS and Android and work here has already begun. Open development and open governance is assuring wider development and testing of Qt 5 by a growing community including developers from Digia, KDAB, Intel, Collabora, Accenture, the KDE project, and many more companies and individuals. Today we all celebrate! Lars Knoll's blog: "Introducing Qt 5.0"
Lars Knoll interview: "The Making of Qt 5"
Slide after slide shows C++11 code side by side with the same code written in older C++ style or in other languages. You'll quickly notice a pattern: In example after example, C++11 code is clean, safe, and as fast as ever... and sometimes even faster. As Bjarne Stroustrup puts it: "Surprisingly, C++11 feels like a new language: The pieces just fit together better than they used to and I find a higher-level style of programming more natural than before and as efficient as ever." 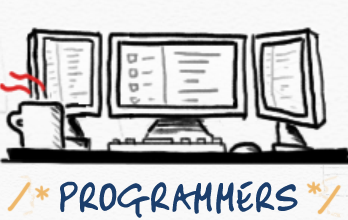 Enjoy these great quick study notes as a refresher before your next C++11 interview. Perhaps the most common single question about C++11 is: When should we use auto to declare local variables? Here's a current set of responses on Programmers.StackExchange. Enjoy. I saw a conference by Herb Sutter where he encourages every C++ programmer to use auto. I had to read C# code some time ago where var was extensively used and the code was very hard to understand -- every time var was used I had to check the return type of the right side. Sometimes more than once, because I forgot the type of the variable after a while! I know the compiler knows the type and I don’t have to write it, but it is widely accepted that we should write code for programmers, not for compilers. But this is written only once and the GetX() return type is checked many times to understand what type x has. 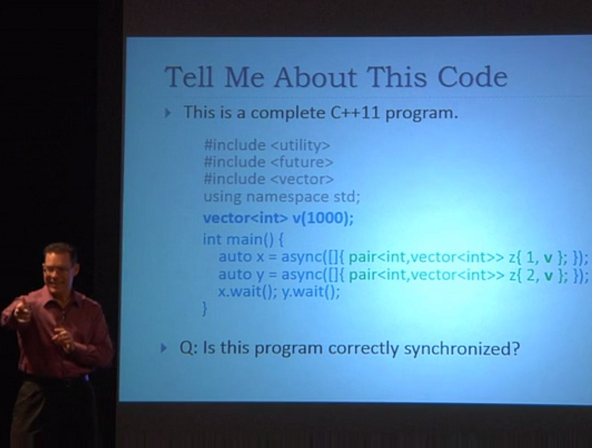 This made me wonder -- does auto make C++ code harder to understand? I have an object that needs to take a variadic argument list in its constructor and store the arguments in a vector. How do I initialize a vector from a the arguments of a variadic constructor?